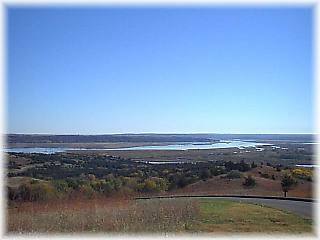 Situated at the confluence of the Niobrara and Missouri rivers on Nebraska's northeastern border, Niobrara State Park offers visitors an opportunity to sample a wide range of outdoor experiences. Cabins, camping from RVs to tents, picnicking, swimming, boat ramps, horseback trail rides, hiking, fishing, history or communing with Mother Nature . . . it all awaits at this exceptional state park. Modern facilities, including cabins, are open from mid-April through mid-November, while activities like the swimming pool and trail rides operate from Memorial weekend through Labor Day. Park grounds are open year-round for picnicking, hiking, sightseeing, and primitive camping. Visitors are urged to practice safety at all times. Parts of the park are situated on high bluffs that can be hazardous for the unwary and the careless.